I believe I would be able to serve as a plenary speaker at the Engineering Geology WSEAS reputable conference in Cambridge, and possibly submit one or more papers, if this is still relevant. I would speak on 20 years of teaching my Zero-gravity Flight Experiment class at Purdue University and the aircraft and rocket flight testing of undergraduate research payloads with NASA, Blue Origin, UpAerospace, Armadillo Aerospace, Exos, Masten Space Systems, and others. This class is, to my knowledge, unique in the world. If you can fund this travel I can participate. I would like to express my best wishes for a successful WSEAS Meeting. I will be Plenary Speaker in WSEAS excellent event in Rome Meeting Jan. 27-29 2017,after Daytonabeach,Florida, Meeting, Jan 22-27. Thus I may arrive on 27th at Rome. Please arrange my talk(s) in 28-29. Here attached are my Abstract for Plenary and one additional one(graphene) as an oral presentation,and my CV 2 pages with photo. I added 160 words CV in an another file. I hope they will enough for your requests. I would like to be a keynote/Plenary speaker for the next WSEAS in spring 2017. To secure financial support for my trips, I am willing to conduct workshops, teach seminar courses (two-weeks) for faculty, graduate/undergraduate students in selected universities in Czech Republic and others. I have successfully conducted similar workshops and courses at universities in Sweden, China, Hong Kong, Iran, and South America. Attached is a synopsis of a proposed workshop and course on �Corporate Governance, Business Sustainability, Professional ethics, and Forensic Accounting�. These workshops and seminars can also be provided and offered to professional organizations. Please share my interest in conducting workshops and offering courses with universities and professional organization in Czech Republic and other neighboring countries and let me know about our collaboration in this matter. 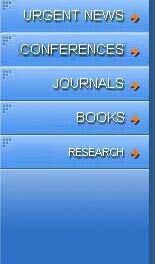 I am also attaching short bio and cover pages of related books. Thank you very much for your invitation (after the very successful conference in Crete) in the next WSEAS conferences of January or February of 2017. I'm very honored for this invitation. Thank you very very much for your kind invitation. Thanks for your kind invitation to attend again the excellent WSEAS Conferences. Now, I'm out of Cairo and far from my emails and office. I accept your invitation and I will send to you my abstract after my return on 25th September. Please be so kind to let me know if any further clarifications are needed. Thank you very much for your kind invitation, I would be deeply honoured as a Speaker in the famous WSEAS Conferences in Rome, Italy on October 21-23, 2016. Unfortunately for me, I have a big personal problem and for the moment I am not sure I can attend the conferences in Rome. Since the deadline for sending the requested materials as a Plenary Speaker is 30 September 2016, if I will be able to come to Rome I will send you the documents in due time. Vice Rector does not allow me to participate this year to these very interesting WSEAS conferences. Many thanks for your invitation. Unfortunately, I am not able to attend this event. WSEAS Conferences looks like a great programme, and wish you the best of luck. Wish you good luck and successful WSEAS conference. Looking forward to meet in other WSEAS conferences in the near future. Thank you very much for your nice message and great news about the publication of the papers of the CSCC 2016 in the October Volume of MATEC! Thank you very much. I am much appreciated. I will be not able to take part in the conference due to other obligations. I wish you a very succesful and fruitful WSEAS conference! I am deeply honored of your interest in my work and results. Good luck with your WSEAS conference, too. I did reply to a previous e-mail. I am honored by your invitation. 2016. I bought my ticket, please take my papers to publish on the WSEAS proceedings. in this year may participation in your very interseting WSEAS conference is impossible. Maybe next time. Environmental Sciences Conference. Thank you again and good luck with your conference. Head of the Glass Dep. It is pleasure to me to participate in this WSEAS event, and i will share with one paper. I hope accept my participation with paper under title (Variations in morphological and biochemical composition of some seaweeds during their development), if accepted, I will sent abstract. WSEAS conferences are really of high prestige. Thanks a lot. I will come to the excellent WSEAS event. Chris. thank you for the invitation, however within this period of time I will not able to attend your WSEAS conference. Have a nice and fruitfull time! Address: Prof. Boyan Kamenov Str. Can you organize for us an International Conference on Lasers (Fotonics) in Europe in period December 2015 till to Mach 2016. I 'm going to present the paper on "High speed metal vapor brightness amplifiers and its application" (to non-destructive testing of materials and diagnostics of fast processes through the strong backgroud radiation). I wish you a successful WSEAS conference in Rome. The WSEAS (The World Scientific and Engineering Academy and Society), pronounced: "W" - seas, is a world, scientific-engineering, academic, non-profit organization that promotes the development and the unified consideration of new mathematical methods and computational techniques as well as their applications in science and engineering. Also, WSEAS supports, in general, the research and the diffusion of the scientific and engineering knowledge, especially in the areas of mathematics, computer science and electrical engineering as well as their interaction to other sciences (physics, chemistry, biology, medicine, engineering, earth sciences, space sciences etc...)..
Also, in accordance of its Articles, WSEAS signs research projects, grants scholarships and prizes, organizes international conferences, seminars, publishes journals and books and carries out autonomous scientific/engineering research or collaborates with universities and state or private research centers and institutions. 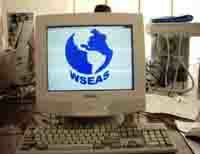 WSEAS was founded in 1996 as WSES and changed to WSEAS in 2001. After a short review of your application by the corresponding scientific committee or working group, you will start receiving the WSEAS news-letters. You may Unsubscribe whenever you want to! Prof. Petr Y. Ekel, Pontif. Cathol. Univ. of Minas Gerais, 30535-610, Belo Horizonte, Brazil. Prof. Valeri M. Mladenov, Technical University of Sofia, Bulgaria. Prof. Alexander Zemliak, Puebla Auton. Univ., Av. San Claudio s/n, Ciudad, Puebla, Pue., 72570, Mexico.